Q. I need service on my mower, but did not purchase from a dealer or need to find a different dealer. A: All authorized dealers can be found on our website by going to www.hustlerturf.com. Use the Find A Retailer button in the upper right hand corner of the page. The locator will help you find local dealers in your area. Q. I need to purchase parts for my mower. Can I contact Hustler Turf for parts? A. Hustler Turf does not sell parts to the public. All part sales are done through our authorized dealerships. A list of all authorized dealers can be found on our website by going to www.hustlerturf.com. Use the Find A Retailer button in the upper right hand corner of the page, it will help you to find local dealers in your area. Q: I need an Operator’s Manual or a General Service Manual for my mower. A: All of our manuals are available for free on our website under the support tab. You can find the manual for your mower by clicking the appropriate section and then search by model number. If your manual is not on-line, please contact your dealer. Q: Can I purchase a battery for my mower from Hustler Turf? A: Hustler Turf does not sell replacement batteries. However, our dealers will sell replacement batteries that will meet our requirements. Q: The oil in the transmission expansion tank seems low. Is this ok? A: On models with hydro-gear transmissions, as long as you can see the oil in the bottom of the overflow tank, then it is ok. The cold fill line is just above the bottom of the tank. Refer to your Operator’s Manual for details. On all other mowers, please refer to your Operator’s Manual on how to check the oil for the drive system. A. 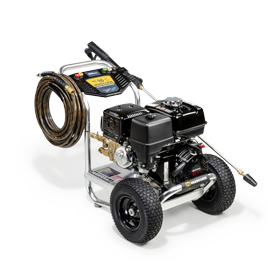 If your mower seems slower or sluggish compared to when you purchased it, there are a few things that could be the cause of this issue. Tires are not inflated to proper PSI. Engine is not being ran at full RPM. It is possible that the throttle cable slipped and came out of adjustment or the operator isn’t using full throttle. Drive belt is damaged or stretched out and needs to be replaced. Tow-valves are not fully closed. Linkage or control arm bent. Drive system needs to be serviced. If the repair is not something you are comfortable doing, please see your local Hustler Turf dealer. Q. My mower does not steer straight. A. If your mower is not tracking straight there are many different things that could be affecting it. The simplest would be unequal tire pressures. You can also adjust the drive straight. The procedure for that varies between mowers and is listed in the General Service Manual. General Service Manuals can be found on our website at https://www.hustlerturf.com/support/manuals. You will need your model number. Contact your local Hustler Turf servicing dealer if more help is needed. All authorized dealers can be found on our website by going to www.hustlerturf.com. Use the Find A Retailer button in the upper right hand corner of the page, it will help you to find local dealers in your area. Q. I want to purchase bigger tires/bigger deck/bigger seat. A. All our mowers go through and pass stability testing when they are designed and engineered. 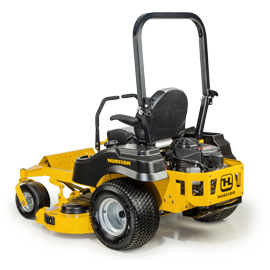 Because changing a component can effect that stability, Hustler Turf cannot authorize or recommend any alterations to our mowers outside what we list as accessories. Q. How do I read the deck height indicator? A. Some of our mowers come with letters indicating the deck height instead of numbers. Different models have different ranges and different cutting heights but “A” is always the lowest cutting height of your mower. Then “B” will be higher and so on. Depending on the model it will be in ¼” or ½” increments. For specific questions about your model, please refer to your Operator's Manual. Q. My machine needs to be serviced but I do not have a trailer. Will Hustler Turf pay for the transportation? A. Hustler Turf will not be responsible for transportation of any unit for warranty. In our written Warranty Agreement found in your Operator’s Manual, we state that, “Service calls and/or transportation expense of the product to and from the authorized dealer, for warranty work, will be paid by the owner of the product”.